Last year, The New School launched the Impact Entrepreneurship Initiative (IEI), a university-wide program supporting early-stage socially engaged entrepreneurial leaders in developing the mindsets, skills, and sense of purpose needed to thrive in our rapidly changing world. Now, The New School is welcoming the first cohort of IEI fellows — 18 incoming students representing various backgrounds and disciplines, including design, media, the arts, nonprofit management, education, policy, and community development. 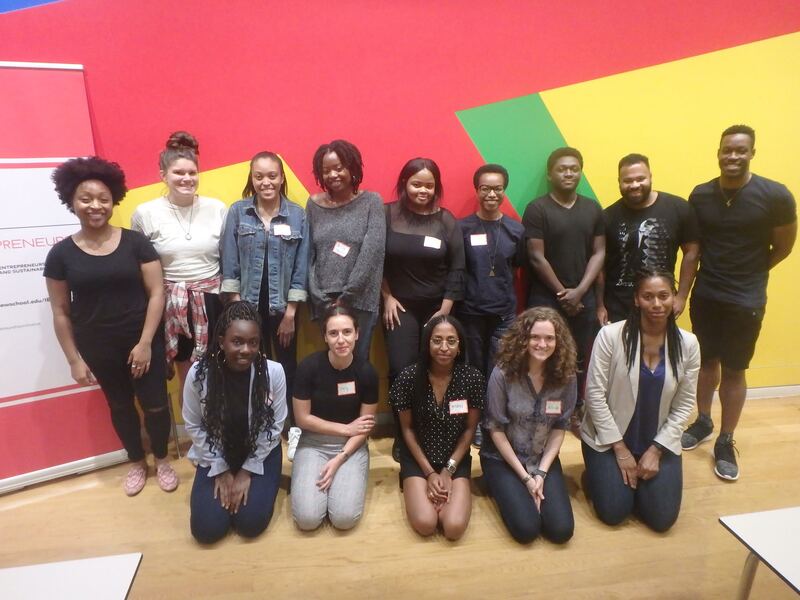 In addition to participating in a two-year cohort experience, fellows also receive a 50 percent merit-based scholarship toward their course of study at The New School. The fellows are Jhon Valdes Klinger, MFA Creative Writing; Irna Sayeed, MS Strategic Design And Management; Chukwudi Nwamba, MS Strategic Design And Management; Sibabalwe Mona, MS Nonprofit Management; Allison Manuel, MFA Creative Writing; Suhail Mandani, MFA Creative Writing; Tiffany Jackson, MA International Affairs; Emily Franklin, MFA Transdisciplinary Design; Ayla Cobb, MA Media Studies; Obi Chukwuma, MS Design And Urban Ecologies; Akiera Charles, MS Design And Urban; Ecologies; Sasha Charlemagne, MS Strategic Design And Management; Emily Castro, MS Organizational Change Management; Markova Casseus, MS Media Management; Medina Bruno-Vitarelli, MFA Creative Writing; Zabe Bent, MFA Creative Writing; Alpha Barry, MS Nonprofit Management; and Iman Allie, MS Strategic Design And Management.